Closing date for entries: Monday, 1 April 2019 – 12h00. 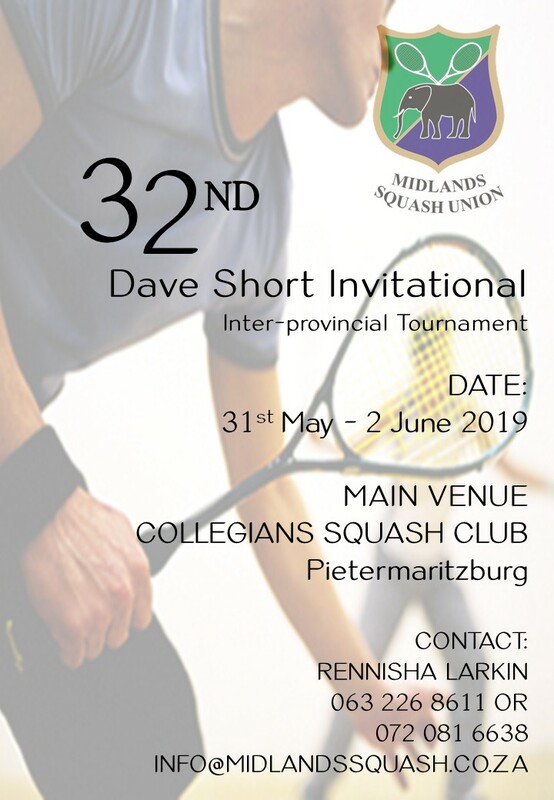 In the men’s final of the Northerns PSA Satellite tournament between JP Brits and Kelvin Ndhlovu on Sunday, it was the 2nd seeded Brits that eventually came out on top after 5 bruising games. Alexa Pienaar made it seem slightly easier but it was nevertheless a hard fought 3-0 win for her over Jennifer Preece in the ladies final. It was telling that only in the men’s D-section the final wasn’t a 5-setter but with the amount of time it took for Henco Hefer to beat Hildsley Noome 3-1, it could just as well have been. In the men’s C-section Justin Cook beat Mwansa Chileshe 3-2. Damian Groenewald came back from 0-2 down to win the men’s B-section final 3-2 against Gerard Mitchell. Here are the updated final results: 2019 NSA PSA Closed Satellite tournament. Photo’s of the prize winners to follow later.